Monterey Auto Week brought out some of the best vehicles in the world, but they also lured this Maybach driver to a private concours in a Hilton's disabled drivers parking space. Maybe they thought it was for golf handicaps? 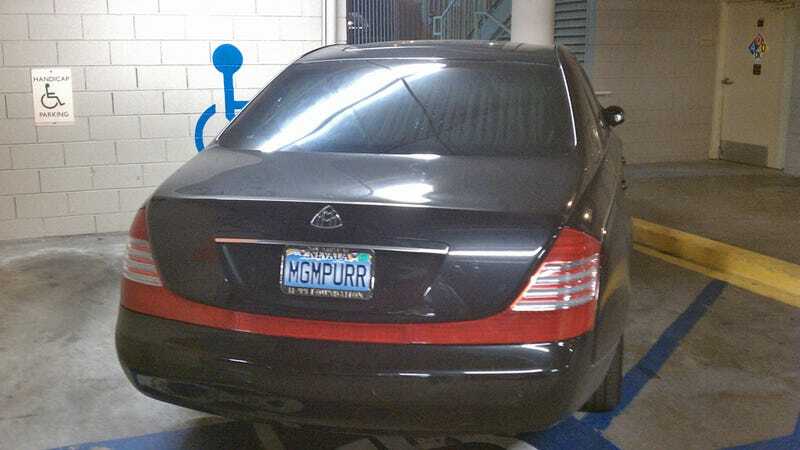 Snapped by a reader who verified that the Maybach lacked any handicapped tags (and who called the cops), the car's license plate is interesting for two reasons. The personalized Nevada plate could be connected to any number of Las Vegas businesses, but the frame for the "11-99 Foundation" — a charity for California Highway Patrol members injured or killed on the job — is the kind of badging that someone often zipping between Vegas and Los Angeles might find handy.